Does geometry hold the key to revealing the mysteries of the universe? Throughout history humans have sought to discover some purpose to life, looking for order and patterns in the seeming random nature of our surroundings. In their quest for knowledge, our ancestors learned to unravel the importance of simple geometric shapes. 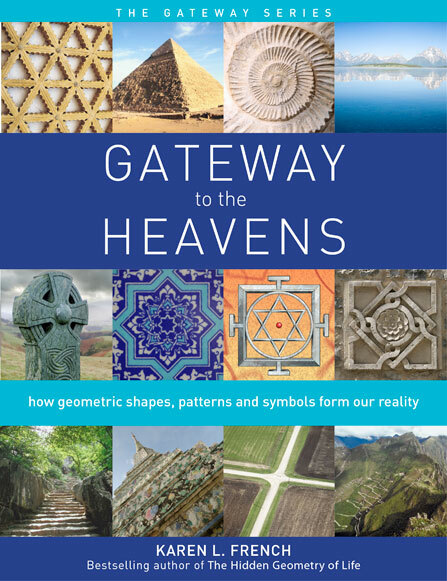 Delving into these geometrical mysteries, mathematician and artist Karen L. French reveals the purpose of these shapes and shows you how they mould reality and your perception of it. French teaches you how they have a direct bearing on what you are and why you are here. She also shows how this knowledge can be achieved through the expansion of your conscious awareness, and how this expansion is made possible. Karen L. French has a Joint Honours degree in Mathematics and Management Sciences and an MSc in Marketing, both from the University of Manchester. She has a lifelong interest in understanding and interpreting sacred geometry. Her previous book, The Hidden Geometry of Life, also published by Watkins, has become an international classic text.